Cardio can be a bit overwhelming for more reasons than just doing it. 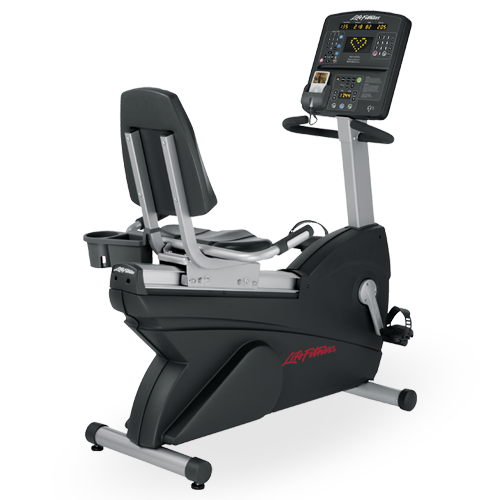 What cardio equipment do I want to use and why? First I fill up my water bottle to avoid any interruption during my session. I walk into the room filled with bikes, treadmills, ellipticals, etc. I wonder what it is that I want to use by how I am feeling. Some days I can be very motivated to do cardio and other days I have to make sure I don't waste my time. I know being in the gym I should give 1 million percent but let's face it, I am not training to be a cardio machine expert. I just want to do my hour to keep my heart rate up. Now I really don't feel like doing the treadmill because it can be easy to cheat while using it. When you walk on the treadmill at an incline all you have to do is hold on a little and bam, cheater. Next I think about using the elliptical. You can cheat on the elliptical also. All you have to do on this machine is bounce and use gravity and momentum to waste movement. I don't want to "waste" movements because each time I do that I would technically be required to do more time! No thank you. I think I will try for a solid 60 instead of messing around. I move on to the upright bike and that also allows gravity to help push down the pedals. This will wait for another day also. Personally for me, even when I was doing cardio for 1 hour 5 days a week I got the most out of the recumbent bike. This may seem easiest but trust me. The only way to maintain speed and heart rate is to keep pushing and pulling with your legs. Gravity doesn't help, bouncing doesn't help, no momentum and you can't hold on or step off to take a break. This bike is the one that always gets me very tired and sweaty! With all this said I continue to survey the crowd and see who I want to be next to. I really dislike smelling armpits of strangers so I attempt to avoid this situation. Picking a machine on the end lowers your chances of someone coming next to you that may smell. The chance of them needing the one machine next to you is pretty slim. I chose the recumbent bike on the end. I set my resistance to 6 and pedaled away for a full 60 minutes. Remember when you are choosing a piece of cardio equipment you want to be near a nice smelling person. You also want a piece of equipment that you can't "cheat" on. This way you are getting a complete session and not wasting time.